June 6, 1990 - Fairfax Downey, a biographer and military historian, died last Thursday at New London (New Hampshire) Hospital. He was 96 years old and had lived in West Springfield, New Hampshire, since the mid-1950s, when he moved there from Manhattan. His biographical subjects included the journalist richard Harding Davis, the illustrator Charles Dana Gibson and the adventurer Sir Richard Burton. Among his more than 50 books on historical and military themes were "Our Lusty Forefathers," about life in Revolutionary times, published in 1947; "Sound of the Guns." (1956), which traced the history of artillery and "Storming of the Gateway" (1960), which dealt with the Civil War. 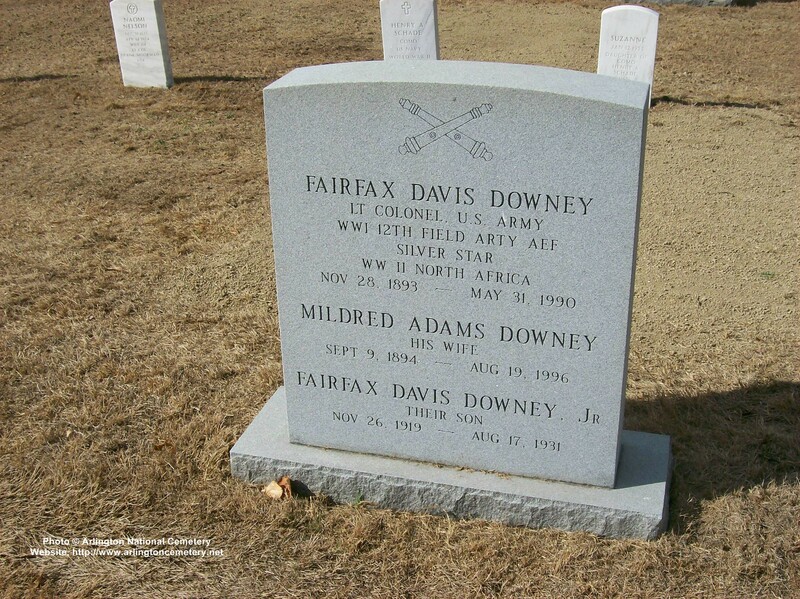 He is survived by his wife, the former Mildred Adams a daughter, Peggy Knowlton of Arlington, Virginia; four grandchildren, and three great-grandchildren.